Joseph Lord Lister (1827-1912), F.R.S., O.M. 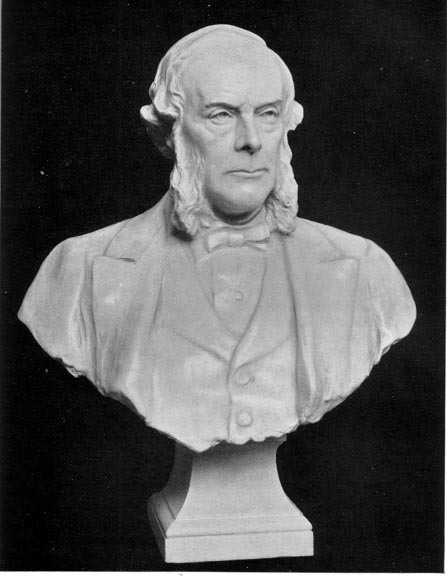 Joseph Lister, O.M., F.R.S. (1827-71912), subsequently Baronet and a Peer was a son of Joseph Jackson Lister, F.R.S., the author of many improvements in the microscope, etc. The elder Lister was an orthodox Quaker, and the son retained through life the quiet, peace-loving instincts imbibed fron father. Born in Essex, he was educated at the Friends' schools near London and afterwards at University College, where he graduated both in arts in medicine and surgery. His interest was soon aroused by the terrible state of hospitals at the time when hospital gangrene was frequent, and after operation, patients died frequently of septic poisoning. Promoted to be Professor of Surgery at Glasgow, he found the state of things no better, and he continued to work incessantly at discovering the cause or causes of the dreadful mortality that seemed to follow upon operations in hospitals. Pasteur, who was years his senior, had lately made the fruitful discovery of living germs as the cause of disease, and Lister, who always admitted the debt, took up the idea and studied the best means of applying such germicides as carbolic acid.